So I read eleven books this month, and it felt amazing. There were definitely several shorter novels, and that helped, but I felt more motivated to just keep reading than I have in awhile, and I liked it. We’ll see if I can even remotely keep that up. I definitely don’t feel like keeping it up for the reviews, so I’m only mentioning six here. I was pleasantly suprised Diffenbaugh’s The Language of Flowers was much deeper and richer than what I (for no real reason) expected. 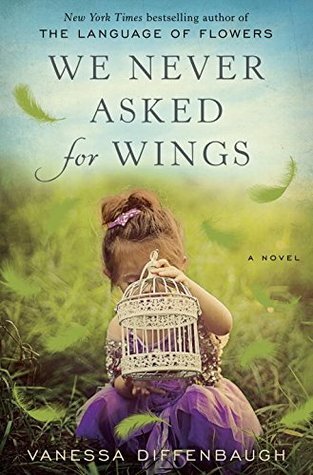 So I hoped for the same from We Never Asked for Wings, and it didn’t disappoint me. Family, race, immigration laws, growing up (even if it’s later than you were supposed to), and love and all kinds of good things are here. It wasn’t quite as unique as Language of Flowers, but it was just as enjoyable. This was also one of those books that makes me feel pretty confident saying that even though we generally think of non-fiction as the books you really learn from, you can learn plenty from fiction. This was unexpectedly different from the first book because it introduced some sci-fi elements to the first book’s purely fantasy feel. But it was good, and still got me wishing for the next installment just as much as the first one did. 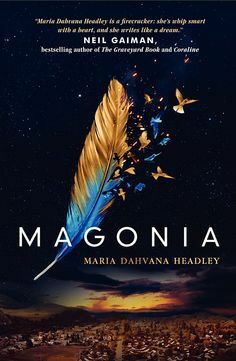 The premise of Magonia was particulary unique. Lots of teen angst in the beginning, which might annoy some, but it felt deserved here. And a whole other world in the sky called Magonia? Yes, please. I didn’t really expect the blue people (or talking birds), but execution of these weirder elements was fun, most of the time. Less fun: realizing I had just commited to another series when I thought this was a one-off book! I bought this, but I’ll likely stick to the library for the next one. The last few months were a bit of a book slump for me, so the amount I read this month was a nice suprise, but not unexplainable: meandering through Persepolis in a couple of hours was exactly the motivation I needed to check out a few of the shorter books on my to-read list, get back in a reading groove, and hopefully get me through some longer pieces too. 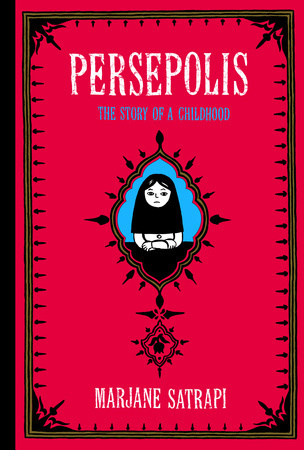 Persepolis is a graphic novel, and it was a really nice change of pace–and suprisingly good beach reading, despite the heavier topics. It was two hours of education on another culture that I didn’t know I needed–and now I want more. Basically, it was just as good as everyone says. At my first job in a diner / ice cream shop scooping desserts when I was 14, this book was inexplicably always sitting behind the counter. I picked it up and read a few pages once or twice (there were definite lulls at that place, which might start to explain the less-than-minimum wages), but never finished, and always just remembered it as seeming “weird.” I’m so glad I finally read it. This was for a work book club. 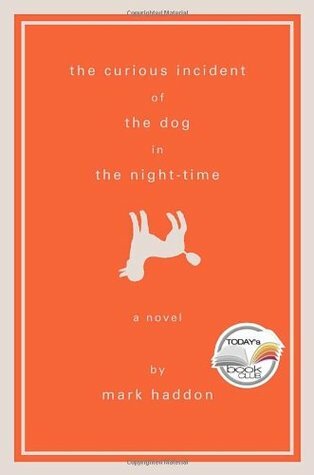 It’s from the perspective of a 15-year-old boy on the autism spectrum writing a mystery book about who killed the next door neighbor’s dog. The brief chapters went by extremely fast, and I was never bored with it. 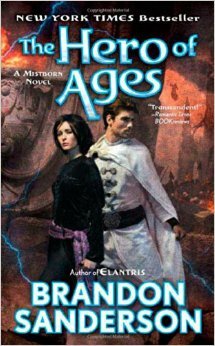 Ooooh Sanderson, you already had my love with Mistborn, but Elantris sealed the deal. I am officially your fan. Elantris showed a different side of Sanderson because it was self-contained (as opposed to a huge triology), but it was a lovely other side. Others have mentioned that it does show through the writing that it’s his earliest work, and I agree, but it’s not neccessarily a failing. 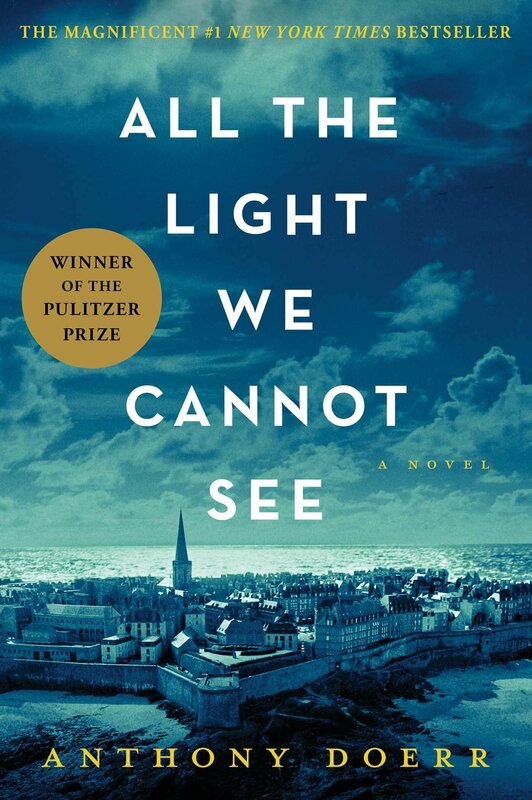 The premise is big and complex and engaging and even though I was reading this after almost 7 really fast reads, I barely realized this was twice the size of those. It may have helped that I spent the better part of a Sunday finishing it, but everyone does that once in awhile, right? I really don’t know. I’m meandering through a few different things–my reading burst of last month has definitely slowed in the face of some heavy duty job hunting. I am realizing it’s been a few months since I focused at all on non-fiction, so I will definitely be trying to fit some in here at the end of summer. So apparently these posts become just as much about my life surrounding each book in question as about the book itself. Which may or may not be a good thing. I suppose those already reading my reviews get a better taste of who I am, but anyone who would read life-posts but doesn’t read book-posts probably isn’t going to read the latter to get the former. If anyone reads anything here, that is. Obstacle: all of the excuses in the world. Conclusion: indecision and writer’s block and I’ll probably just see you next month for another book post, kay? So sometimes you read something on a total whim, and sometimes you request books off NetGalley based on very, very little. And then sometimes those books are meh, and clearly you should choose more carefully. And other times an awesome book reinforces your laziness. This is one of those. Don’t you love when a fantasy author takes mythology you know of and goes a little crazy with it and gives you wonderful backstory and interpretation for that mythology? This *isn’t* one of those. I don’t recognize a single bit of the mythology in here (though that doesn’t mean much), and Hawkins doesn’t baby you through explaining. You’re tossed into a world of gods and ancient powers and a library with all of the knowledge of this age (as opposed to earlier ages, obviously) and pocket universes and suns that are made of a single pure emotion and lions. So have fun and good luck figuring it out as you go. I don’t have a lot to say for this one. 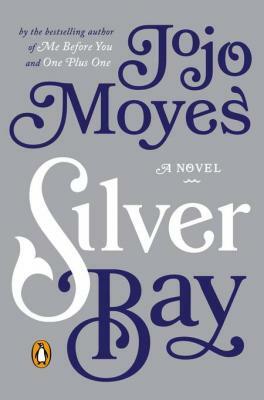 It’s earlier Jojo Moyes, and not nearly as good as her recent stuff. But judged on it’s own caliber and not against what we now know she can do with a story, it’s… still just decent. It moved sooo slooow and I wished Liza’s backstory was revealed sooner as the tragedy informed so much of her character. The slow reveal just added to the slowness. Did I mention this was a bit slow? Time to talk book club, because book club is clearly not going to get its own post anytime soon. There were five of us (and now there are only four, so if you’re interested…) and we’ve only met twice, but it’s been pretty great. 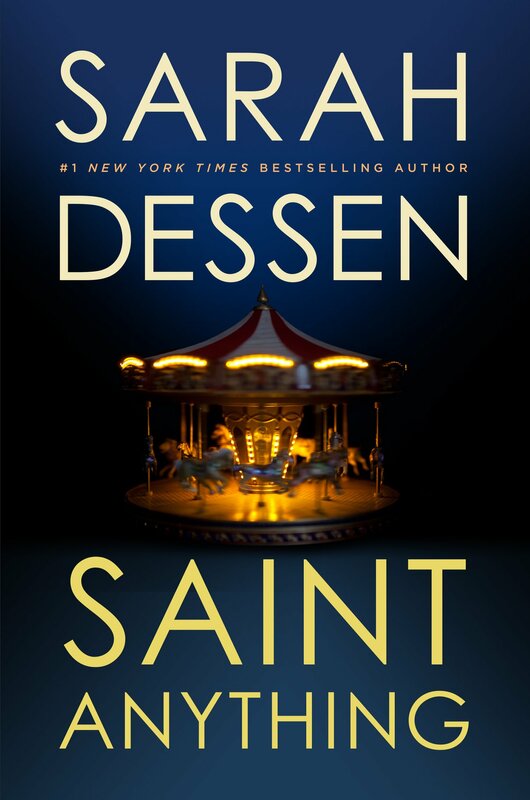 Fair warning: there’s not a *ton* to talk about with this book, especially as opposed to last month’s Peace Like a River, but I actually liked this book a lot better than last month’s. It’s a lot of fun, and goes quickly, and is all about books and secret organizations. So worth a book club that was mostly just wine and life-talk. Let’s just start with the confession, huh? I haven’t technically “finished” this book. I’ve read approximately 70%, and that includes the last 20%, so that counts for something! Twas the night before morning work-book-club and all through the studio, I was frantically pulling up reviews with spoilers trying to decide if I should stay up all night finishing the book or just not go or go and pretend I’d read things I hadn’t. The compromise: read some spoilery reviews, then read the ending. So how could I possibly have appreciated this book properly without that middle bit? Well, maybe I didn’t appreciate it “properly,” but I really did appreciate it. The massive amount of detail is exquisite and somehow didn’t even bore me–quite a feat. I’m on hold for a renew of this to (maybe) go back and read what I missed! More summer reading, catching up on some eGalley’s, this month’s book club pick, and maybe finally actually reading Gaiman’s American Gods. So this month we had our first book club, reading Peace Like a River, and it was great. The meeting, I mean. The book was good too, but, um, I didn’t quite finish it. (cough I read half cough). I’m thinking of a post about book club, as in I feel almost obligated to write one, so maybe that and finishing the book will have to go hand in hand! Only four books this month besides that, but they were seriously all fantastic–and really different. Not like I read a happy clappy spiritual growth book, a bloody horror thriller, and Dosteovsky different, or Rachel Held Evans and Nancy Leigh DeMoss different, but different enough. I’d heard this was fantastic, a classic and a YA one at that. And I bought it, but it sat around until I lent it to Cristina on the whim that she imight like it (despite not even having read it myself.) And when she bought it back with a glowing recommendation, it did seem like it was time to pick it up myself. Which I did, but like two weeks later. Castle covers some six months of 17- and 18-year old life in the 1930s~ English countryside. It’s essentially a coming-of-age journal full of first love, family disfunctionality, and beautiful descriptions, and Cassandra is a great narrator. Smith captures the ebb and flow of trying to get life down into a journal, including the times when you’re saying, “Oh, I want to write about today, but I still need to write about all of last week first!” Thankfully, Cassandra is adapt at speed writing and I mostly enjoyed the pacing. Do you have any books on your TBR lists that you know very little about, yet they’ve been on there for years? Language of Flowers was in that catagory for me. I finally downloaded it from my library’s Overdrive one day, not really expecting much from it: maybe a lite women’s fiction or even something closer to chick lit. Definitely something rote. So, so not the case. It’s deep, it’s a little dark (but thematically rather than plot-wise), and I know this is vague and kind of a cheat word but it’s quite compelling. I’ve noticed, because how can you not, that YA contemporary (specifically with female protags) can get stereotyped as lite, fluffy, and overfocused on boy-crazy girls. I have feminist feelings about this: the assumptions that, (1) teenage girls only care about vapid things and (2) that the things teenage girls care about are silly or irreleveant or not worth caring about. But it honestly might take a while longer and more reading before I try to put those thoughts and feelings down better than this. What I’m also poorly trying to say is that I really, really liked this book. 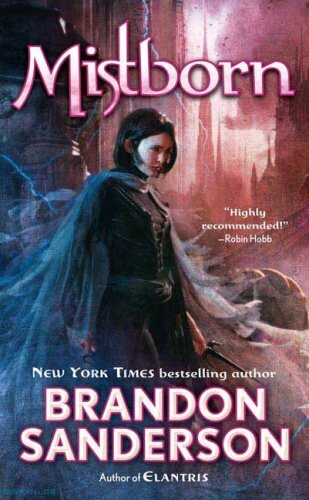 I loved/hated finishing the three-book Mistborn epic. Loved, because it was fantastic. Hated, because it was over. But the love side gets a boost because Sanderson has books coming out this fall and next January that will complete a second triology set in this same world–just a few hundred years later. 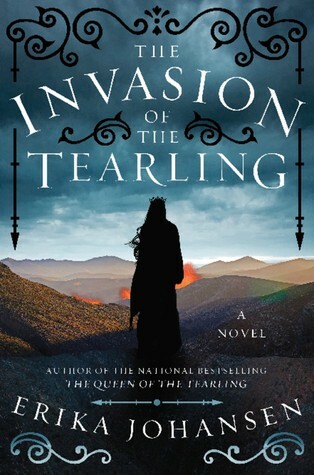 I should read something different from him to be sure (Elantris is on my list of summer reads), but I think Sanderson might be one of my newest favorite authors. Theoretically, I’ll actually write a blog about the graphic I already made with my (theoretical)(possible) summer reading , but I might take advantage of the fact that the first day of summer is the 21st, instead of considering summer to be June-August! 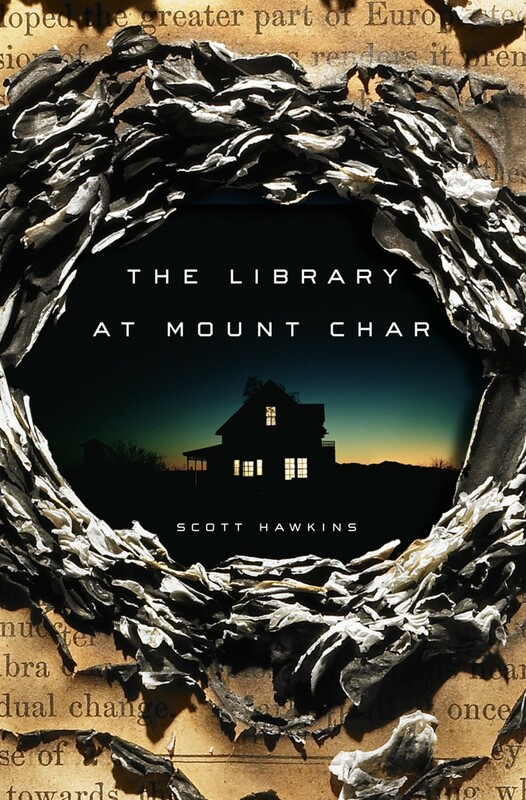 Right now I’m reading The Library at Mount Char, an eGalley I nabbed a bit back that officially released a few days ago. It’s twisted and mythology-filled and great. 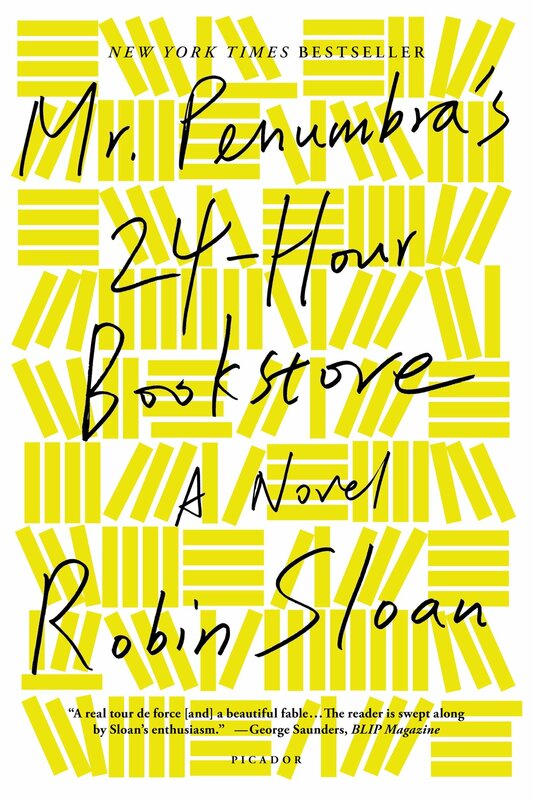 And within the next week I’ll be reading All The Light We Cannot See and Mr. Penumbra’s 24-hour Bookstore as fast as possible for book clubs! This month is also extra colorful. Literally, not literarily, colorful. I’m not actually sure what I think of it. I don’t read a lot of comic books and graphic novels. But I actually really like them, I just find the vast expanse of what’s available to be completely overwhelming (and potentially expensive). So reading a new series from the start is really working for me. The second volume is out, but I’ve been saving it in my cart for the next time I feel the need for some Amazon retail therapy. Or when I’ve actually read more of the books I’ve already paid money for! I’m in love. The Mistborn series is everything I ever could have wanted in a long term commitment. And I mean long long term commitment. I’m currently on the third of the series, which technically ends this triology, but Sanderson has QUITE a few books set in the same universe, and in the next six months will be putting out two books which will finish the second trilogy on this particular world. And I am such a sucker for a world with a good mythology. Once upon a time I started watching the Water for Elephants movie with friends, and I never finished it. I really just didn’t care. But then I read it, and then I cared, because Gruen is quite good at what she does. I got At the Water’s Edge as an ARC from Netgalley (though I accidentally neglected it till it was out anyways, oops) because of how much I liked Elephants. 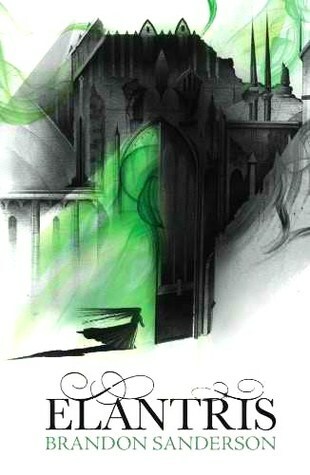 And because of that cover, isn’t it gorgeous? Water’s Edge is set primarily in Scotland and explores the myth of the Loch Ness monster through the lives of of three Americans who came monster hunting to escape their current situations (and to find a monster and be famous for it, of course). Maddie, a great character who someone described well as being both strong and naive at the same time, is married to Ellis, who just lost his Father’s favor (and money) and is also there to redeem himself to dear old Daddy (it’s complicated). While the boys try to capture a monster on film, Maddie gets to know the people of the town, and through that and seeing her husband and marriage for what they really are, Maddie has to decide what she wants, and who she even is. It’s occasionally slow, and I can understand reviewers who called it thin, but personally I was into it from the start. The interactions are great: between Maddie and the maids, between her former identity as a socialite and her even more former identity as daughter of a scandal, and between Maddie and Angus. Themes of complicated infidelity and abuse might turn off some readers, but Gruen handles them well. SAA ‘s world is that of southern contemporary magical realism. It’s not a subgenre I spend a lot of time in, which is part of why I put off reading her two most recent books for a while, but I’ve liked almost everything I’ve read from her. Lost Lake isn’t as good as my favorites (Garden Spells, Girl Who Chased the Moon, and even Sugar Queen), but it was a big improvement IMO from Peach Keeper. The setting kept Lost Lake from feeling too similar to her other books, and I felt like I could emphathize with Kate, the protagonist. On the meh side of things, I felt like the magic felt more… contrived than her other stuff? I still ended it feeling content, which is something I like with her books. Highschool revenge drama with a twist. Like, a really big, unexpected twist that leaves you not entirely sure what genre you’re reading. I’ve never read Vivian, just Han, so the [spoilers!] element might have been less of a suprise if I was acquainted with both. Either way, I’m definitely not unhappy with the kind of twist these books throw out! I really liked the elemtents of healthier female friendships (as healthy as you can get when you’re plotting big revenge together) to balance out the expected, but not too overdone, catty ones. I also liked that it dealt with heftier issues and was grittier than Han’s To All the Boys I’ve Loved Before. Honestly? More Mistborn. I’ve still got a ways to go in the third book (these things are nice and long!). And when I’m done, it’s going to be a challange not to just jump into more books in that universe right away. When I can tear my eyes from Vin and Elend, I want to finish Searching for Sunday and Moral Disorder. And I really need to turn my eyes back to the rest of the books I promised myself I’d read this spring! There’s still too many to finish in May (Mistborn ruined everything! ), but I’d like to at least try to tackle a couple of these: Glittering Images, I Capture the Castle, Almost Famous Women, and Damaged Goods. Although let’s be honest. With the lack of restraint I’ve shown lately towards series, I should probably avoid Glittering Images and anything else with a #1 by it’s name!